What to do if you find a used needle on your private property? The City of London has produced a video that shows residents how to safely dispose of used needles if they find them on their property. The City of London has partnered with the Middlesex-London Health Unit and Regional HIV/AIDS Connection to produce a video that provides step-by-step instructions on how to properly dispose of used sharps and syringes. 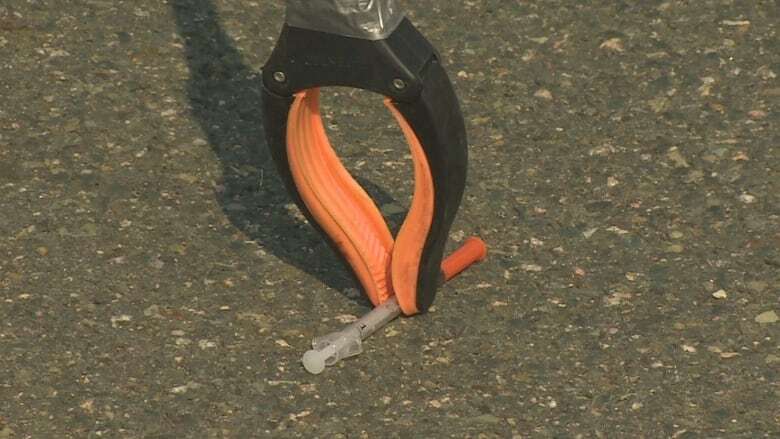 The video is targeted towards residents to educate them on how to safely pick up the used needles they may find on their property. "While having written directions was helpful, being shown and having a video to show the actual steps would be more helpful," said Lynn Loubert, City of London Division Manager, Aquatics, Arenas and Attractions. "So we created this video to explain it and make it a simpler process." The 90-second video suggests using tongs or gloves to pick up the needle and then placing the object in a thick-walled, unbreakable container. The City is asking residents not to place the containers in the trash. "We will not be picking up anything on private property. There are 16 bins throughout the city that private property owners can use to dispose of the needles," said Loubert. If the needles or sharps are found on public property, they can be reported to the number in the video and a city staff member will pick it up.